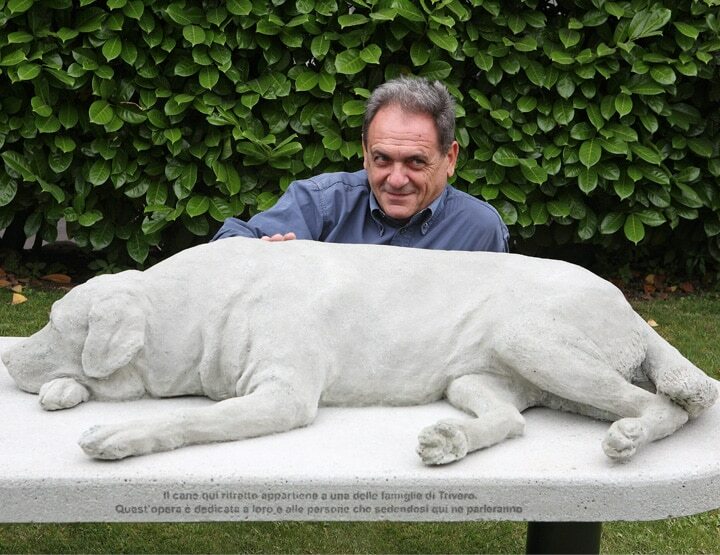 This process enabled the artist to establish a contact with the kids, their families, and the owners of the dogs, meeting, photographing and involving them in the realization of the project. 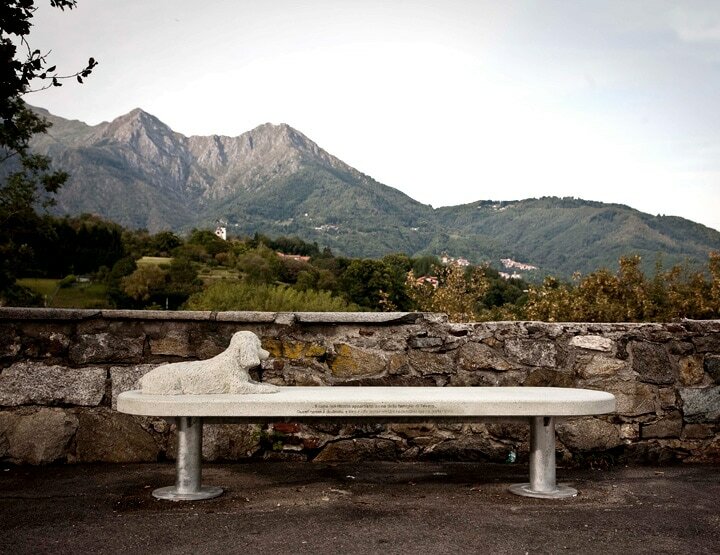 The result is a public work that can be used (and 'adopted') by everyone: a series of cement benches with a seated portrait of one or more dogs, bearing the following caption: The dog portrayed here belongs to a Trivero family. This work is dedicated to them and the people who will talk about it as they sit here. 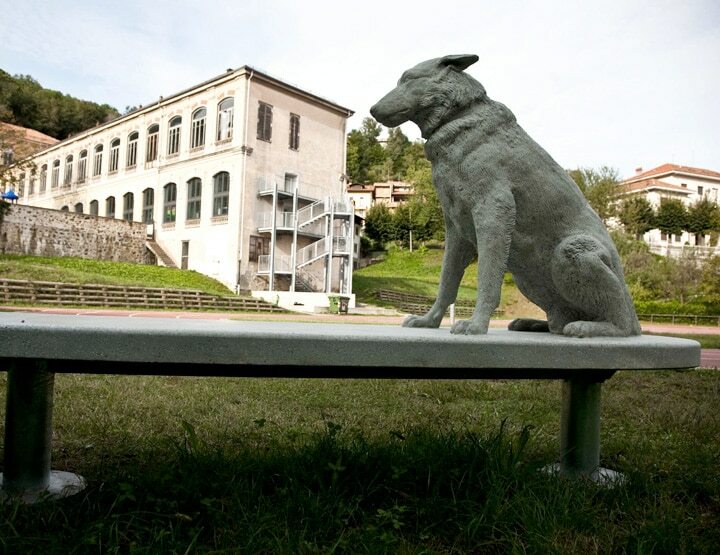 The benches are located in different meeting and activity sites of the town like the Centro Zegna, the town hall, the gardens of the schools in Ronco, the square in front of the Matrice Church in Gioia and the sport fields outside the Sport Stadium in Ponzone (see map on the pdf brochure).